As cities become more connected, a multitude of traffic signal priority control technologies creates a patchwork of components and communication standards with varying degrees of interoperability. City leaders can spend years and thousands of dollars to figure out how to coordinate these technologies. In the meantime, residents demand immediate solutions that will help to move transit vehicles efficiently and emergency vehicles quickly and safely. Thousands of cities around the world know that traffic signal priority control systems can help meet the demand. But how are they balancing existing infrastructure investments with emerging technologies? When your community is selecting a signal priority and preemption system, you need to consider the short and long-term technology plans that will deliver the most value and best performance. There are many factors to consider when deploying a traffic signal priority control system. At the core are on-board vehicle systems, intersection equipment, communication networks and control center software and hardware. Your city needs to consider the short and long-term technology plans, taking into account equipment that is already in place. With nearly 50 years of experience in signal priority and preemption, Global Traffic Technologies has the expertise you can count on to help you to solve your city’s mobility problems. GTT can help to deliver the most value and best performance using a distributed, centralized or hybrid system for traffic signal priority control. For nearly 50 years, these systems have been the industry standard for preemption systems. In a distributed traffic signal preemption system, the vehicle communicates directly with the intersection. With this type of system, both vehicles and intersections need to have priority control equipment. No existing communication infrastructure is required for this type of system, but you do have the option to manage and monitor the entire system from a central location if the intersections have fiber/Wi-Fi/cellular. As communities build out their communications infrastructure, cities can connect vehicles to infrastructure using Wi-Fi and cellular networks. In a centralized traffic signal priority control system, the vehicle communicates directly with a centralized traffic management center. With this type of system, no preemption hardware is needed on the vehicle or at the intersection. A robust communication network is required and usually consists of a combination of cellular, Wi-Fi, Ethernet or Fiber Optic networking that connects vehicles and intersections to the traffic management center. The entire system is managed and monitored from a central location.  In a Centralized traffic signal preemption system, the bus communicates directly with a Centralized Control Center. With this type of system, no preemption equipment is needed on the vehicle or at the intersection.  A robust communication network is needed and usually consists of a combination of cellular, Wi-Fi, Ethernet or Fiber Optic networking that connects vehicles and intersections to the Centralized Control Center. The entire system is managed and monitored from a central location. Certain deployments may require a blend of both centralized and distributed systems.  A hybrid priority control solution provides the benefits of both systems as users migrate from one architecture to another. The design of this system leverages the existing technologies that you have in place and pairs them with future technology. Each intersection or vehicle can use the type of system that best fits its intended use. For example, a fire department can operate on a legacy distributed infrared preemption system while transit vehicles pass through the same intersections using a centralized priority control solution. The entire system or key parts can be managed and monitored from a central location.  GTT worked with Greenman-Pedersen, Inc to model and deploy a centralized TSP solution that reduced travel times by up to 18 percent along one of the world’s busiest bus routes. Click to view this archived presentation from Victor Darias and Mark Yedlin. With nearly 50 years experience deploying distributed transit and emergency vehicle priority control systems, Opticom is a proven solution for more than 3,100 cities worldwide. Learn about some of these city’s success stories by reading a case study.